Jeanette used to work as a trend researcher with a background in social anthropology. 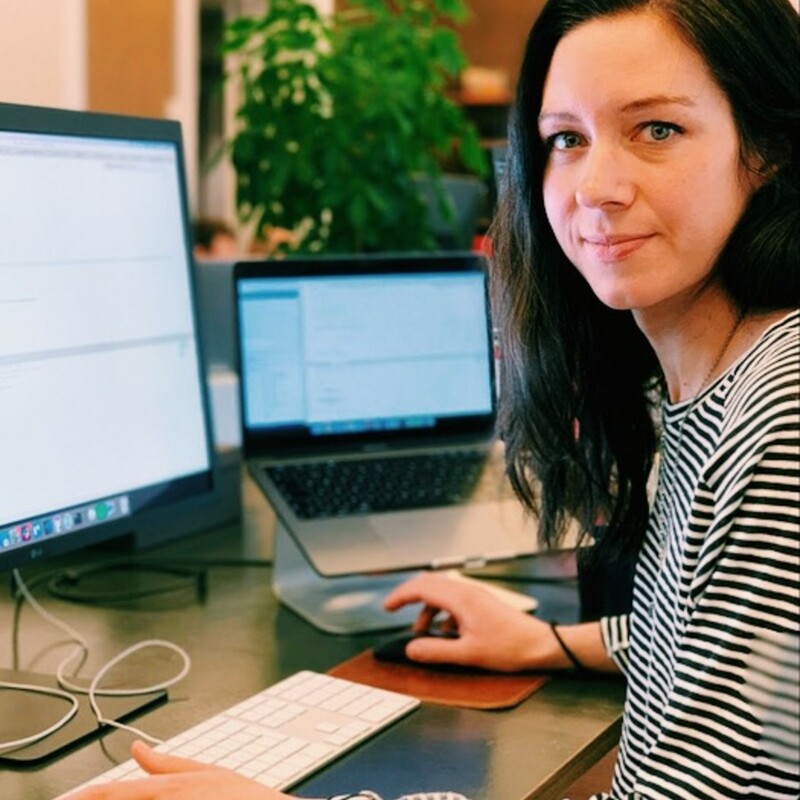 Now she’s a junior frontend developer and feels empowered by her newly acquired skill set, which has enabled her to be more creative in her worklife. Hi Jeanette, tell us a bit about yourself. What makes you you? I’m originally from the North of Sweden and moved to Stockholm around 15 years ago. I have two kids. People tell me I’m the stereotype of a person from the North: self-controlled, calm. While that is true, I’m good at challenging myself to try new stuff and get out of my comfort zone. This is one of the qualities that made me travel to an isolated island in the South Pacific to do fieldwork during my master studies and this is a contributing factor to why I applied to Technigo and am where I am today. In both (and many other) cases, I was nervous as hell but pushed myself to make it happen. Today I’m grateful I did and I’m sure I will continue to challenge myself in the future. I was working as a trend analyst. I was basically doing research and writing reports on my findings. I wrote a lot about digitalisation and tech trends. My main focus was on consumer tech trends. My background is in social anthropology and trend research is something I ventured into afterwards — it’s all about observing the world around you, spotting the changes that are happening and how they affect people. I’d had it in the back of my head for a long time. It was probably 10 years ago now that I tried an evening course in basic programing. The course itself didn’t suit me so I never finished it, but I kept the wish to learn coding some day. I’m fascinated by the skill itself. CURRENT: Frontend developer at Äventyret.